Neurocomputing welcomes theoretical contributions aimed at winning further understanding of neural networks and learning systems, including, but not restricted to, architectures, learning methods, analysis of network dynamics, theories of learning, self-organization, biological neural network modelling, sensorimotor transformations and interdisciplinary topics with artificial intelligence, artificial life, cognitive science, computational learning theory, fuzzy logic, genetic algorithms, information theory, machine learning, neurobiology and pattern recognition. 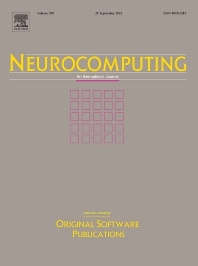 Neurocomputing covers practical aspects with contributions on advances in hardware and software development environments for neurocomputing, including, but not restricted to, simulation software environments, emulation hardware architectures, models of concurrent computation, neurocomputers, and neurochips (digital, analog, optical, and biodevices). Neurocomputing reports on applications in different fields, including, but not restricted to, signal processing, speech processing, image processing, computer vision, control, robotics, optimization, scheduling, resource allocation and financial forecasting. Neurocomputing publishes reviews of literature about neurocomputing and affine fields. Neurocomputing reports on meetings, including, but not restricted to, conferences, workshops and seminars. Neurocomputing Letters allow for the rapid publication of special short communications. Neurocomputing Software Track publishes a new format, the Original Software Publication (OSP) to disseminate exiting and useful software in the areas of neural networks and learning systems, including, but not restricted to, architectures, learning methods, analysis of network dynamics, theories of learning, self-organization, biological neural network modelling, sensorimotor transformations and interdisciplinary topics with artificial intelligence, artificial life, cognitive science, computational learning theory, fuzzy logic, genetic algorithms, information theory, machine learning, neurobiology and pattern recognition. We encourage high-quality original software submissions which contain non-trivial contributions in the above areas related to the implementations of algorithms, toolboxes, and real systems. The software must adhere to a recognized legal license, such as OSI approved licenses. Importantly, the software will be a full peer reviewed publication that is able to capture your software updates once they are released. To fully acknowledge the author's/developers work your software will be fully citable as an Original Software Publication, archived and indexed and available as a complete online "body of work" for other researchers and practitioners to discover.